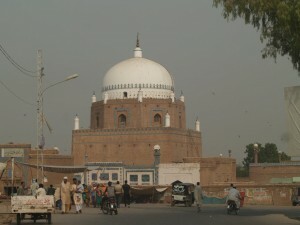 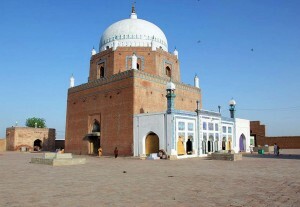 Built in 1263, the Mausoleum of the legendary Sufi saint Bahauddin Zakariya is located at the center of Multan city, Pakistan. 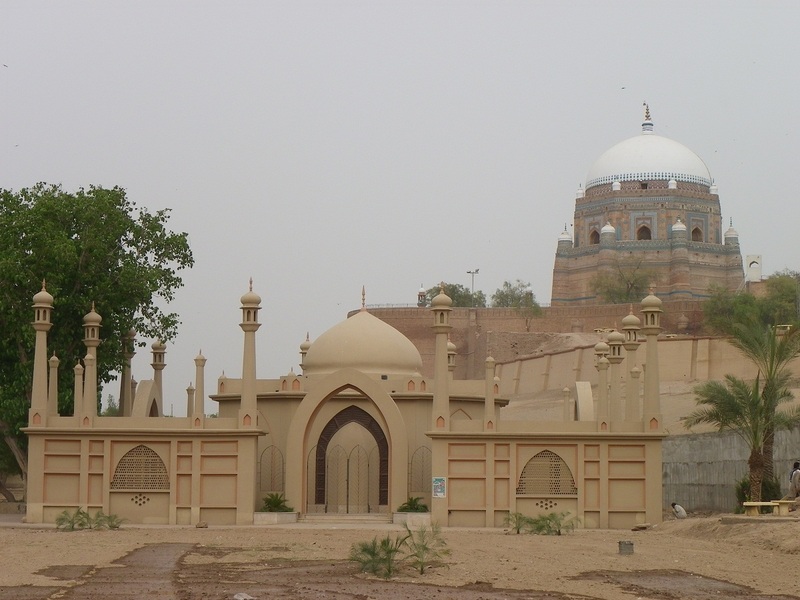 The mausoleum is a remarkable specimen of architectural wonder, constructed using red bricks with elaborated woodwork decorations. 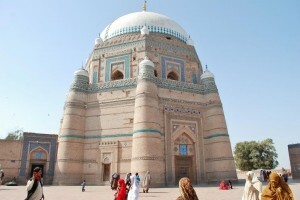 The three storied monument contains a whitewashed hemispherical dome on top of an octagonal second floor,decorated with blue tiles and Arabic inscriptions, above the square structured ground floor. 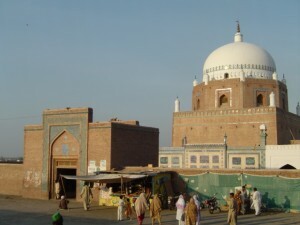 There are two gateways, in the east and west sides, to enter the shrine through a paved courtyard of large brick tiles. 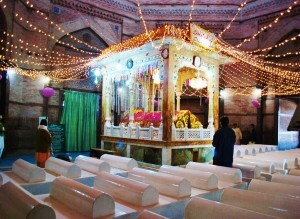 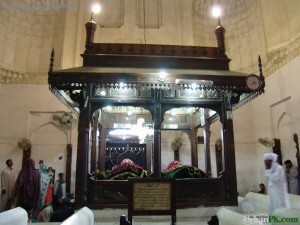 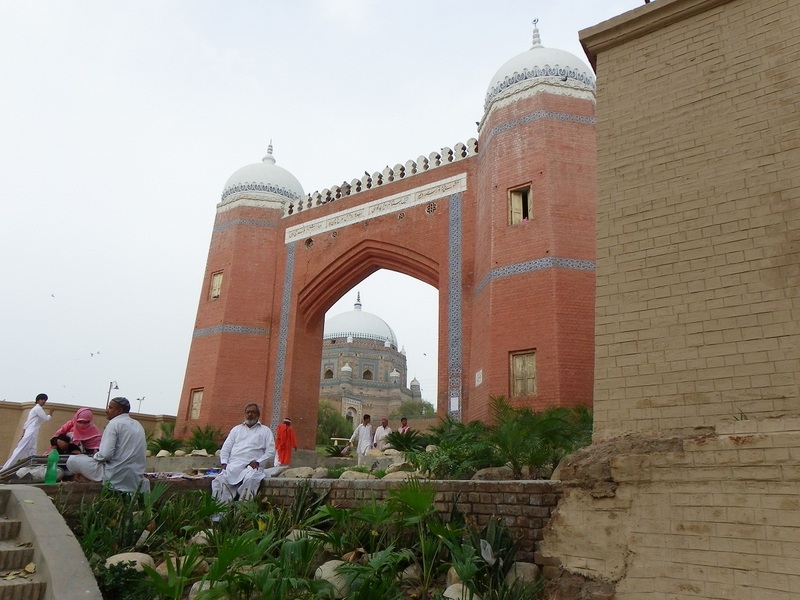 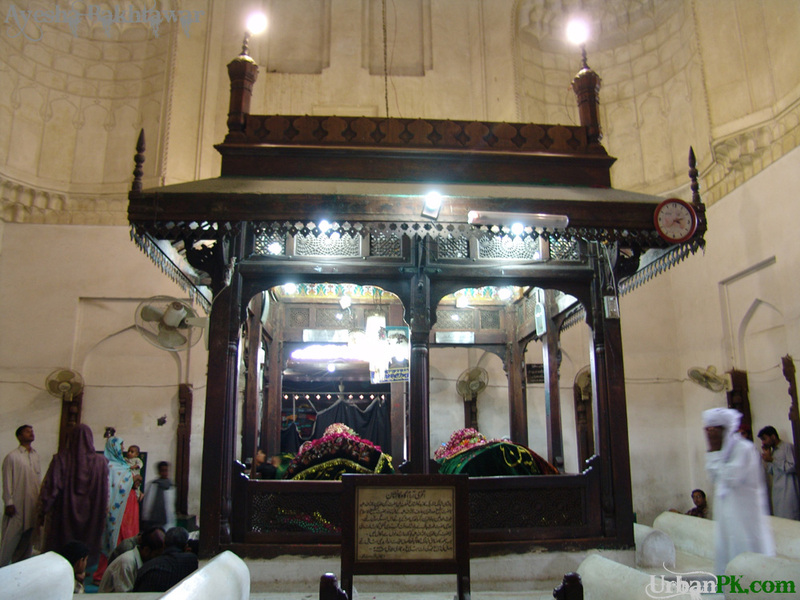 The place also contains the tombs of Bahauddin’s family mambers and descendants, including his own son Sadrauddin. There also lies the blue tile-decorated grave of Nawab Muzaffar Khan, the Governor of Multan who died in 1818, at the gate of this shrine fighting against the Sikh armies. 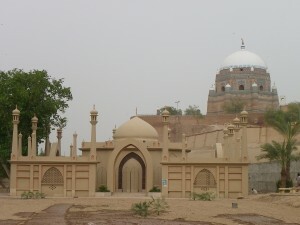 A lot of renovations has been done to the mausoleum and the mosque present today in the south-east corner within the shrine is believed to have been built in 1982.